If you want the digital HD copy of the film, you can be watching that December 20th, perfect to kick back with for a break before the family-frenzied holiday get-togethers take their toll. If you want the hard copy, you’ll have to hang on a while longer, until January 10th to be exact. 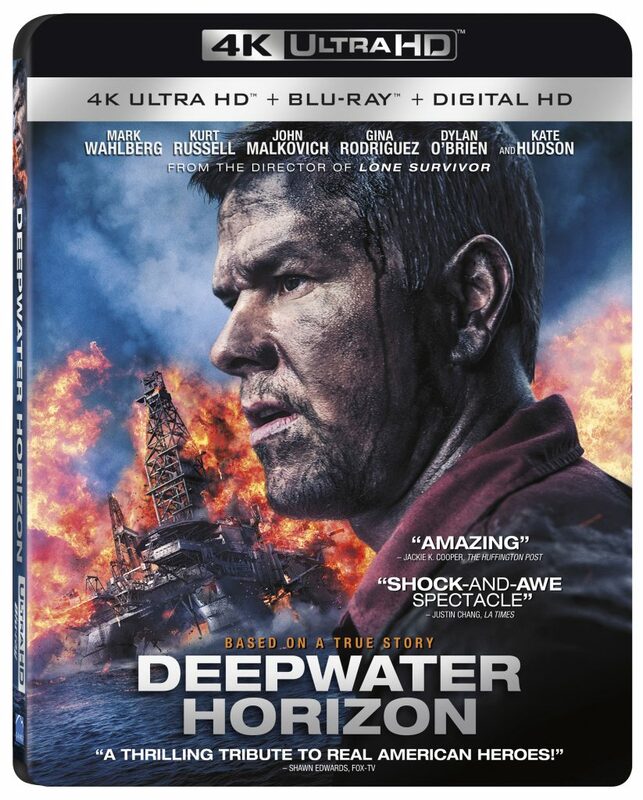 That’s when the 4K Ultra HD, the blu-ray combo pack and DVD arrives in stores. In April 2010, there is no oil exploration operation in the Gulf of Mexico to compare with the Deepwater Horizon oil rig with its size or sheer depth of its drilling. 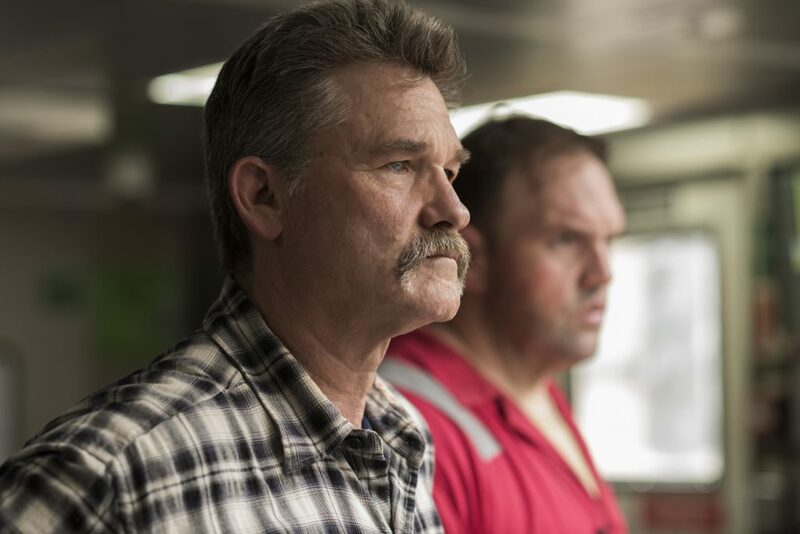 However, the project for the BP oil company is beset with technical difficulties to the point where the general operational supervisor, Jimmy Harrell, and his Chief Electrical Engineer, Mike Williams, are concerned potentially dangerous trouble is brewing. Unfortunately, visiting BP executives, frustrated by the project’s long delays, order curtailed site inspections and slanted system tests to make up for lost time even as Harrell, Williams and his team helplessly protest for the sake of proper safety. 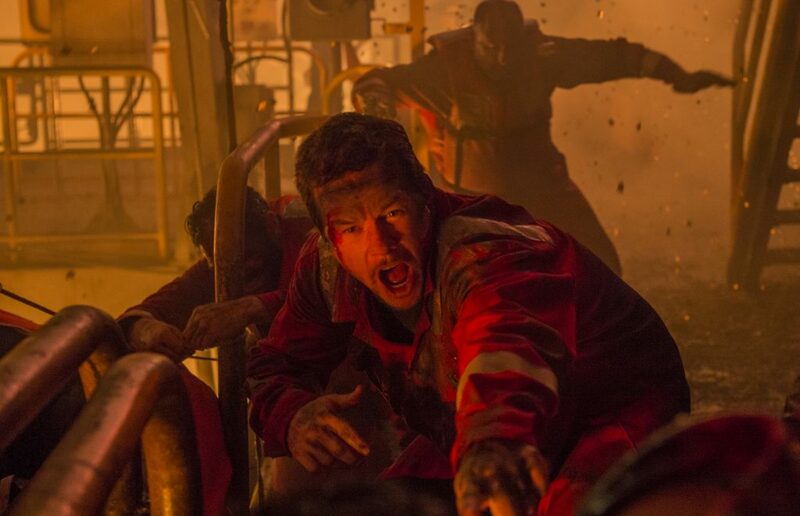 On April 20, the workers’ fears are realized in the worst possible way when the rig’s various structural and system flaws spark a catastrophic cascade of failures that would create a massive blowout and explosion that threatens them all, even as it also begins the worst environmental disaster in US history. This entry was posted on Thursday, November 17th, 2016 at 5:25 pm	and is filed under Film, News. You can follow any responses to this entry through the RSS 2.0 feed. You can skip to the end and leave a response. Pinging is currently not allowed. « Media-Ocrity Ep. 22 – The Thanksgiving Episode!